Download "ERIC E. SPIRES. 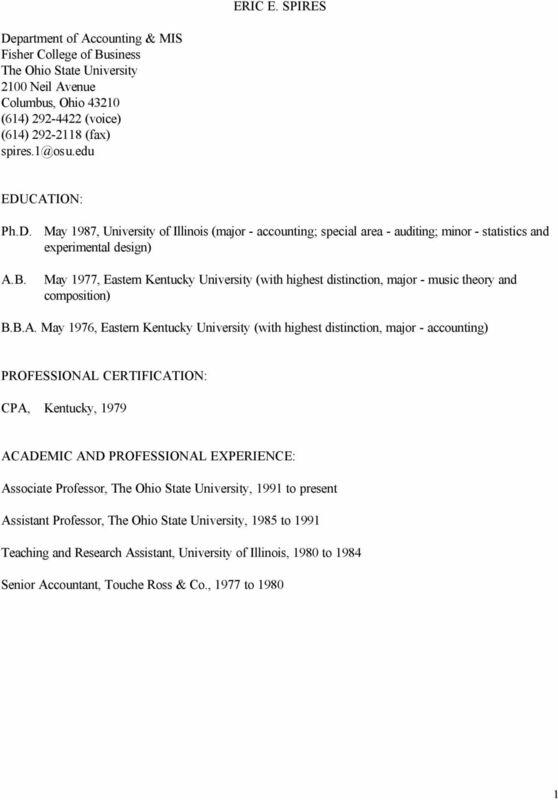 Ph.D. May 1987, University of Illinois (major - accounting; special area - auditing; minor - statistics and experimental design)"
University of Texas at Arlington, Master of Science in Taxation, May 1987. Major: Taxation. JONATHAN D. STANLEY. School of Accountancy Phone: (334) 844-6206 Auburn University Fax: (334) 844-5875 344 Lowder Hall E-mail: jds0024@auburn. Nicholas J. Gonedes. 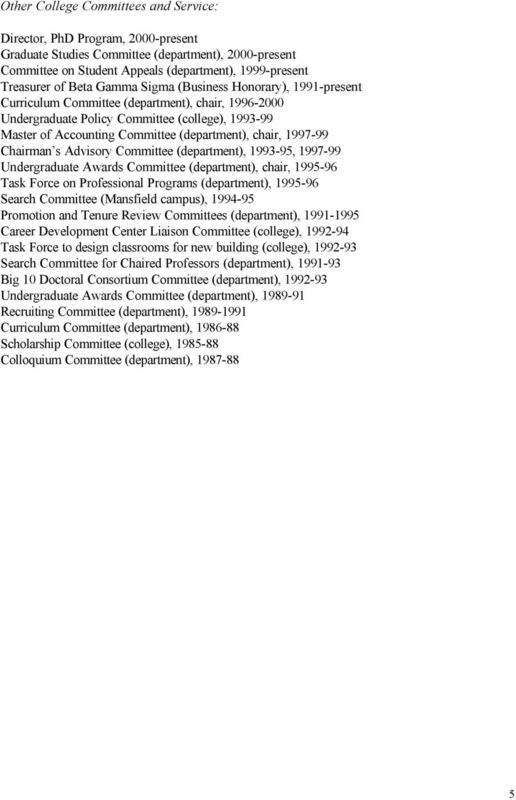 1971/1972: Graduate School of Industrial Administration, Carnegie-Mellon University. 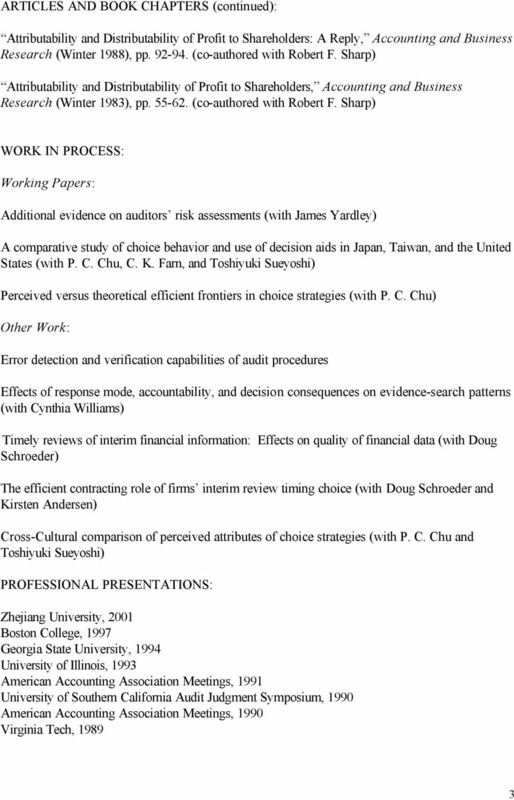 SUSAN M. YOUNG EDUCATION RESEARCH. 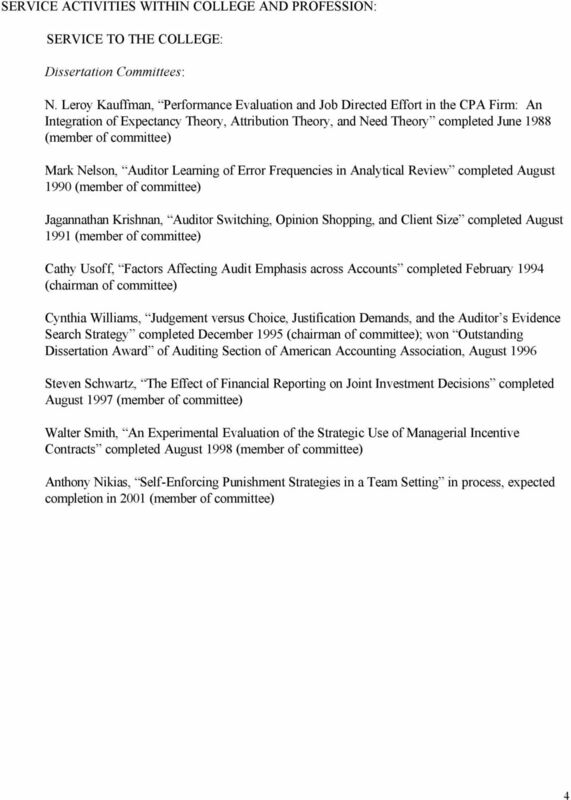 Capital markets, financial analysts earnings reports, investors use of analyst information. MICHAEL WILLENBORG. 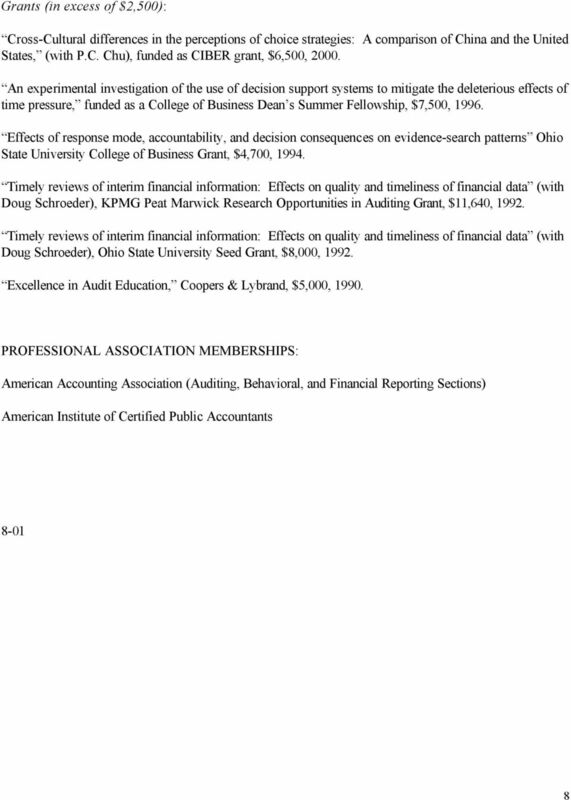 Teaching Interests Financial accounting undergraduate, MBA, and executive levels; Auditing PhD level. Schmidt, J. 2012. 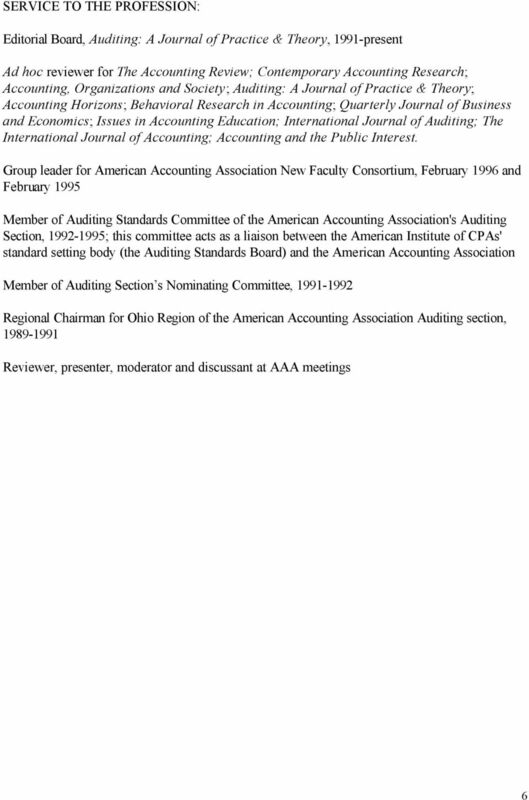 Perceived auditor independence and audit litigation: The role of nonaudit services fees. 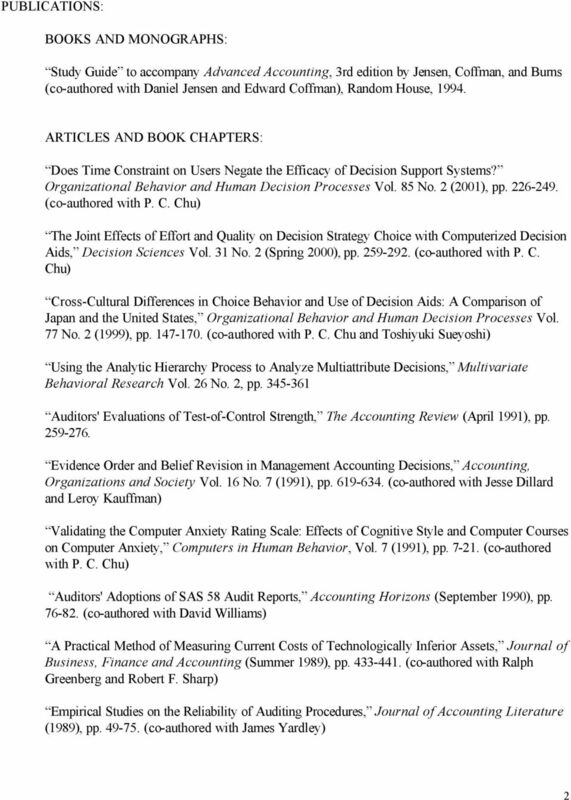 The Accounting Review 87 (3):1033-1065. RONALD L. HESS, JR. Assistant Professor The College of William & Mary, Mason School of Business Administration, Marketing Area, August 2001 - present. DEBORAH H. TURNER JOHN AND WENDI WELLS ASSOCIATE PROFESSOR FOR TEACHING EXCELLENCE & ASSOCIATE PROFESSOR OF ACCOUNTING SCHELLER COLLEGE OF BUSINESS I. EARNED DEGREES Degree Institution Date Awarded Ph.D.
Gokhan Karaatli. MBA (Marketing), Fairleigh Dickinson University, Silberman College of Business, New Jersey, 1996.